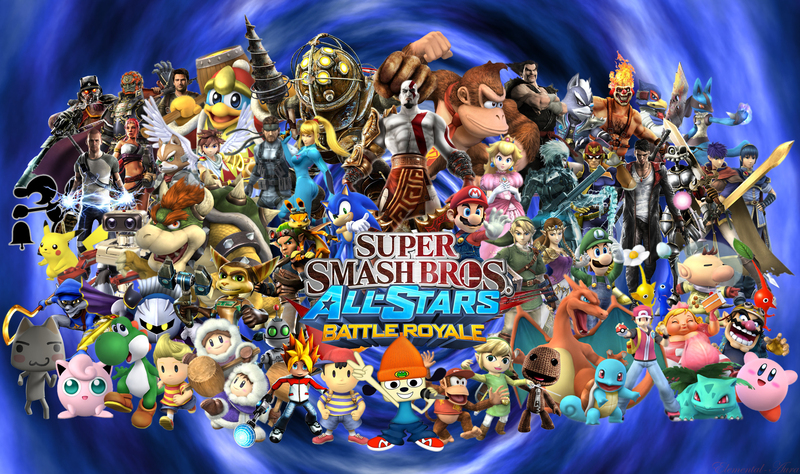 Super Smash Bros All-Stars Battle Royal!. 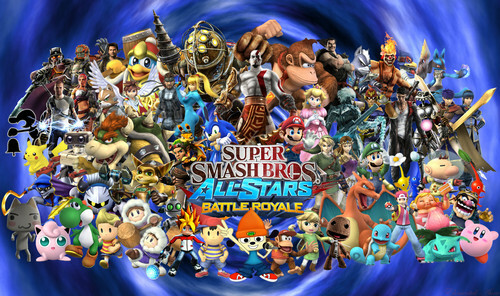 Crossover of Super Smash Bros and 플레이스테이션 All-Stars Battle Royal. HD Wallpaper and background images in the Super Smash Bros. Brawl club tagged: super smash bros. brawl playstation playstation all-stars battle royal crossover super smash bros.
And that's why I did this little piece right here. Sometimes I wish Nintendo, Playstation and Xbox would make a fighting combat game like this, because they're are fans out their who support either 1 of the companies and love the characters they make and a fighting combat game like Super Smash Bros and/or Playstation All-Stars Battle Royal will bring them all together and settle their agreements with a friendly match on the game. The background is supposed to be like Subspace Emissary in Super Smash Bros Brawl. Now that Tabuu gotten Mewtwo, Young Link, Pichu, Roy and Dr. Mario he started to make plans to control the Smash Universe, until he sensed somthing a another universe (Playstation All-Stars Battle Royal uinverse) he'll use this universe to gain more alliances to have complete control between both worlds. Everyone else was placed the way I thought looked good.